Do you or a loved one have kidney disease? If so, you may worry about how the condition will progress, what to expect, and how to continue living as well as possible. 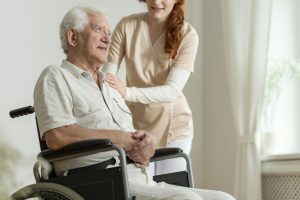 First, it’s important to know that people with kidney disease can survive for a long time and enjoy a good quality of life, with the right supports. In some cases, kidney disease may progress to kidney failure — the most severe stage of the condition. This is also known as end-stage kidney disease or end-stage renal disease (ESRD). While there is no cure for end-stage kidney disease, people can live well for months or years with the right treatment and supports. or hospice care for your loved one, please call Samaritan at (800) 229-8183. End-state kidney disease is when the kidneys stop working well enough for you to survive without dialysis or a kidney transplant. This usually happens after you’ve had chronic kidney disease for some time. In cases when people are unable to receive dialysis or a transplant, or these treatments may not work, they can consider other options available to them. They may be too weak or sick for successful treatment, a kidney donor may not be available, or they may choose to forgo such invasive measures. Alternative treatments are available, and patients can also benefit from palliative or hospice care to control pain and other symptoms. 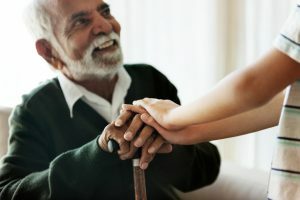 Palliative care increases the patient’s comfort and addresses their social and emotional needs at any stage of illness. Hospice care is palliative care given near the end of life. 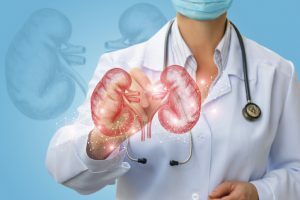 Symptom relief is essential to end-stage kidney-disease patients, as their quality of life is often reduced by multiple symptoms – up to half of which typically go untreated. 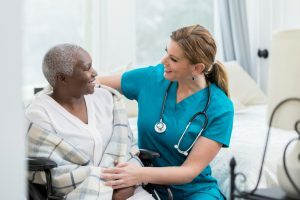 Growing evidence indicates that alternatives to dialysis can prolong life and decrease symptoms in patients who are not good candidates for dialysis. Such care includes close attention to fluid balance, treatment of anemia, and correction of excess potassium or acid levels. Blood pressure and calcium and phosphorus levels must also stay well-controlled. And dietary changes may be helpful. Moreover, choosing not to start dialysis is different from stopping dialysis. Those who never start dialysis can live for months to years, while patients who stop dialysis die within one to two weeks. Therefore, non-dialysis treatment can be a sound alternative for older or sicker patients. Waiting to start dialysis is another acceptable option, especially for patients who are unsure if they want dialysis. A recent study found no significant health differences between people who started dialysis earlier or later in their disease process. Even people who are on dialysis can have complications from kidney disease, as the treatment cannot do everything that healthy kidneys do. Kidney transplant recipients are also at higher risk of certain complications, such as anemia. This condition occurs when your body doesn’t make enough red blood cells, which carry energy-giving oxygen throughout the body. Symptoms can include weakness, tiredness, dizziness, difficulty concentrating, pale skin, chest pain, shortness of breath, and feeling cold. Bone disease. The kidneys help keep your bones healthy, so kidney disease often causes bone problems. Symptoms include bone and joint pain, broken bones, infections, and skin problems. Heart problems. Your kidneys support all your organs, including your heart. Therefore, kidney failure can cause heart disease, heart attack, and heart failure. High potassium. Kidney failure can cause too much potassium to build up in your body, which can lead to such symptoms as muscle cramps, trouble breathing, and nausea. Fluid buildup. Kidneys that don’t work well can’t remove enough fluid from your body. That can cause high blood pressure – the second most-common cause of kidney failure. Excess fluid can also lead to lung and heart problems, including a faster heartbeat. It can cause swelling, starting in your feet and moving upward. 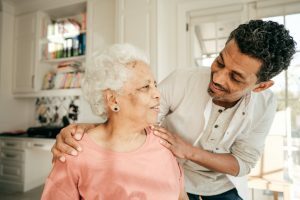 People with end-stage kidney disease can benefit from palliative or hospice care, which focus on relieving symptoms and maximizing quality of life. Palliative care can be given at any time during the course of kidney disease (or other serious illness). Hospice care is available to people whose life expectancy is six months or less. Pain. Up to half of patients on dialysis have problems with pain. Palliative/hospice providers can prescribe opioids that are safe for people with end-stage kidney disease. Fentanyl and methadone are considered the safest for these patients. Severe itching. Providers can prescribe medications to reduce this challenging symptom. Palliative/hospice providers can determine the cause of the fatigue, such as anemia or depression, and provide appropriate treatment. Providers can treat this symptom with medication. Shortness of breath. Palliative/hospice providers can ensure optimal fluid balance, and encourage physical activity in those who are capable. They can provide opioids as needed at the end of life. Other physical symptoms, including dry mouth, swelling, muscle cramps, restless leg syndrome, lack of appetite, and difficulty sleeping. Emotional symptoms, including depression and anxiety. Psychosocial needs, including decision-making and family communication issues. Palliative/hospice providers can help patients and families make decisions about care, including whether to start, stop, or delay dialysis. 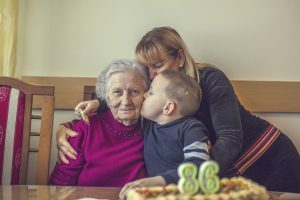 These decisions are especially important for older patients and those with multiple serious illnesses. 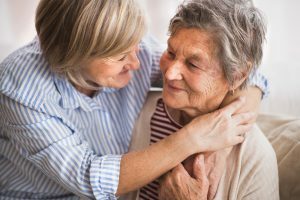 In each situation, palliative/hospice providers can provide expert counselling to patients and families, and offer alternatives to dialysis that help patients stay as healthy as possible. Furthermore, hospice offers emotional and spiritual support to patients and families as they make these difficult decisions. Palliative/hospice providers can also help people with end-stage kidney disease plan for their future. 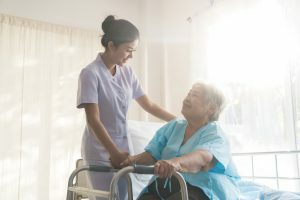 For instance, patients should have advance directives – documents that specify the kinds of care the person wants if they become unable to communicate. These important documents should specify, for example, the situations in which the patient would not wish to continue dialysis. Another important choice, which should be documented, is whether the patient would want emergency life-saving measures such as CPR.